GALLAGHER is an American comedian and prop comic, known for smashing watermelons as part of his act. 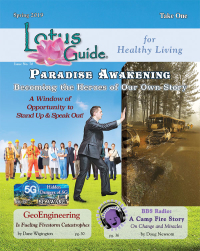 Leo Anthony Gallagher was born at Fort Bragg, North Carolina. He grew up in Lorain, Ohio until he was 9 years old. Because of his asthma he then moved to South Tampa, Florida, where he attended H.B. Plant High School. He graduated from the University of South Florida with a Chemical Engineering degree in 1970. He also received a minor in English Literature, which he used often in his skits to mock the language. 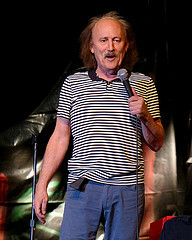 Gallagher was one of the most popular and recognizable American comedians during the 1980s. He performed 14 comedy specials for Showtime. These shows have been re-broadcast numerous times, notably on Comedy Central. Running for Governor (as an independent) in the 2003 California recall election, Gallagher finished 16th out of 135 candidates with 5,466 votes. Gallagher's signature sketch is a pitch for the "Sledge-O-Matic," a large wooden mallet that he uses to smash a variety of food items and other objects, culminating with a watermelon. In addition to the Sledge-O-Matic, Gallagher's act features a variety of props, including a large trampoline designed to look like a couch. While the Sledge-O-Matic act is an example of physical prop comedy, the act itself (and even its name) is a parody of ads for the Ronco Veg-O-Matic, a kitchen appliance that was heavily advertised on American television from the mid-1960s through the 1970s. Gallagher also uses wordplay in his act, pointing out the eccentricities of the English language. In July 2012, Gallagher was featured in a television commercial for GEICO insurance, repeating his Sledge-O-Matic bit.